The Optima goes open-source as the 2015 car adds the Kia UVO system as an option for EX/SX trims and as a standard feature in the SXL Turbo. Bringing talk and touch tech to the Korean car manufacturer, the UVO system is compatible with both Android and iPhone smartphones, so you need not pick a side when picking your ride. Other upgrades for the 2015 Optima include some new upholstery and a reworked steering wheel, but otherwise the midsize 4-door sedan rolls into its next model year with little change after getting a slight refresh for 2014. This only highlights the major strides Kia has made in the industry in the last 10 years. Once a rolling joke, we’re fast approaching a world in which new drivers won’t remember associating Kia with “cheap.” Today it’s more accurate to call Kia a “good value,” especially with one of the stoutest warranties around, but more impressive is the image transformation the company has achieved. Of course that transformation becomes a lot easier when you hire a designer away from Audi/VW, and the Optima proudly sports Mr. Schreyer’s “Tiger Nose” grille, as well as the rest of his “vaguely European” styling. In keeping with the European tradition, the Optima is motivated solely by 4-cylinder powerplants, with turbocharging providing the extra oomph for the top-tier engine. 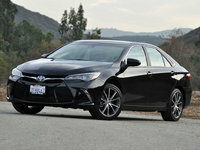 At the lower end of the spectrum, the LX and EX trims come with a 200-hp 2.4-liter engine that delivers 186 lb-ft of torque to the front wheels and an EPA-estimated 23 mpg city/34 highway thanks to a 6-speed automatic. Want to try that turbo? You’ll have to move up to the SX Turbo or SXL Turbo trim for that, but you’ll be greeted by a 2.0-liter engine that produces 274 hp and 269 lb-ft of torque. Despite the impressive power leap, you won’t get killed at the pump, as the same 6-speed automatic manages to mitigate that power and still return 20/31 mpg. And it’s not just power you get with the SXs. The LX and EX trims are well-appointed with features like fog lights, 16-inch alloys, heated mirrors with integrated signals, a tilt/telescoping steering wheel with auxiliary controls, remote keyless entry and a full power package, including a 6-way power driver’s seat. But the SX adds fun features like Drive Mode Select, which modifies transmission and steering profiles through Comfort, Normal and Sport modes, a sport suspension and leather sport seats. You’ll also get LED running lights and 18-inch alloys and can add heated and cooled front seats as well as heated rear seats, a rare nod to luxury in this price range. But the EX gets its own level of luxury with dual-zone climate controls, push-button start with a smartkey and leather trim. If you feel like adding a bit more to your EX, a sunroof and an upgraded audio system are worthwhile options. If top-tier is your game, the SXL Turbo offers all the fun features of the Premium and Technology packages - the panoramic sunroof, upgraded UVO, heated steering wheel, mirrors and front and rear seats, upgraded Infinity stereo, rearview camera, rear parking sensors with blind-spot monitor, 8-inch touchscreen and navigation - all as standard features. Seats were recently upgraded and provide comfort and support alike—no compromise needed. However the slick profile and sloping roof that give a sorta-sporty appeal to the Optima mean taller folks will have to ride up front. That's good news for those of us over 6 feet tall, but an annoyance for passengers who think “shotgun” should dictate seating. 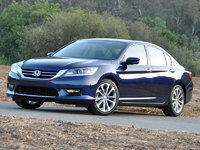 The LX doesn’t have much to impress with regard to aesthetics, but the EX sports leather and wood trim, and the SX has brushed “aluminum” that works well without overstepping. The Limited trim boasts Nappa leather that is a very pleasant surprise at this level, but the best improvement of late is the acoustic windshield on all trims that isolates the cabin nicely from harsh outside noise. 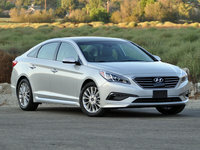 All this adds up to a respectable option in a midsize sedan. It’s not sporty—it’s sportish. It’s not luxury—it’s luxury-lite. But there’s little to complain about, and it looks good, too. That’s saying a lot for a car you’d have felt compelled to apologize for just 10 years ago. Keep it up, Kia. You’re on the right track. 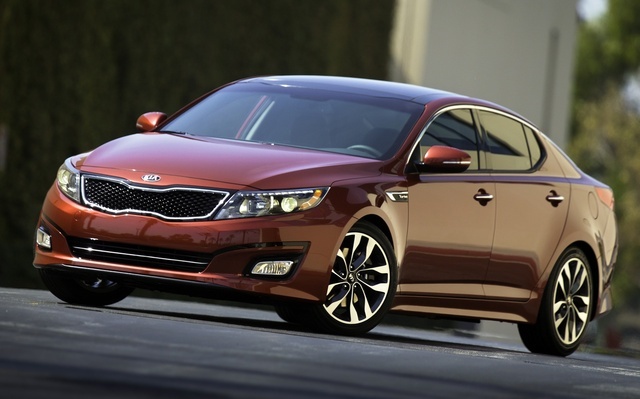 What's your take on the 2015 Kia Optima? Micki-Mike Major steering problem with the Optima that Kia wont take responsibility for. EPS motor magnets and brushes are junk. Impossible to keep the car strait down the road, especially at higher speeds Great car if the steering wasn't a safety issue. GuruBCF51 Love the ease of steering with the Optima. Users ranked 2015 Kia Optima against other cars which they drove/owned. Each ranking was based on 9 categories. Here is the summary of top rankings. 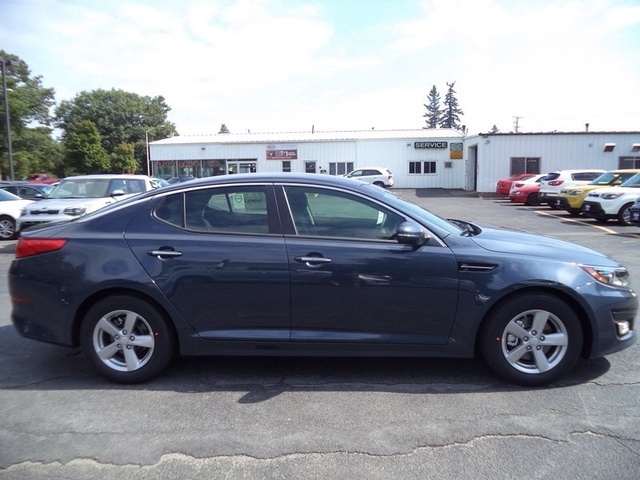 Have you driven a 2015 Kia Optima? Car randomly won’t start. Then starts up fine like nothing happened. Battery and alternator are good. Key start vehicle. 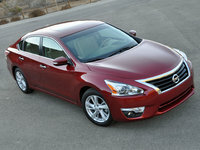 Cargurus Listings Showing Wrong Price.